4450601 L14AS LINDE L14AS Warehouse L type. Spare Parts Catalog. Service (workshop) Manual. Operator's Instruction Manual. 4450602 L16AS LINDE L16AS Warehouse L type. Spare Parts Catalog. Service (workshop) Manual. Operator's Instruction Manual. 4450603 L12 LINDE L12 Warehouse L type. Spare Parts Catalog. Service (workshop) Manual. Operator's Instruction Manual. 4450604 L12L LINDE L12L Warehouse L type. Spare Parts Catalog. Service (workshop) Manual. Operator's Instruction Manual. 4450605 L12LHP LINDE L12LHP Warehouse L type. Spare Parts Catalog. Service (workshop) Manual. Operator's Instruction Manual. 4450606 L14 LINDE L14 Warehouse L type. Spare Parts Catalog. Service (workshop) Manual. Operator's Instruction Manual. 4450607 L14L LINDE L14L Warehouse L type. Spare Parts Catalog. Service (workshop) Manual. Operator's Instruction Manual. 4450608 L20L LINDE L20L Warehouse L type. Spare Parts Catalog. Service (workshop) Manual. Operator's Instruction Manual. 4450609 L20LP LINDE L20LP Warehouse L type. Spare Parts Catalog. Service (workshop) Manual. Operator's Instruction Manual. 4450610 L12 LINDE L12 Warehouse L type. Spare Parts Catalog. Service (workshop) Manual. Operator's Instruction Manual. 4450611 L16 LINDE L16 Warehouse L type. Spare Parts Catalog. Service (workshop) Manual. Operator's Instruction Manual. 4450612 L12R LINDE L12R Warehouse L type. Spare Parts Catalog. Service (workshop) Manual. Operator's Instruction Manual. 4450613 L16R LINDE L16R Warehouse L type. Spare Parts Catalog. Service (workshop) Manual. Operator's Instruction Manual. 4450614 L12L LINDE L12L Warehouse L type. Spare Parts Catalog. Service (workshop) Manual. Operator's Instruction Manual. 4450615 L12LP LINDE L12LP Warehouse L type. Spare Parts Catalog. Service (workshop) Manual. Operator's Instruction Manual. 4450616 L16AS LINDE L16AS Warehouse L type. Spare Parts Catalog. Service (workshop) Manual. Operator's Instruction Manual. 4450617 L12LS LINDE L12LS Warehouse L type. Spare Parts Catalog. Service (workshop) Manual. Operator's Instruction Manual. 4450618 L20LS LINDE L20LS Warehouse L type. Spare Parts Catalog. Service (workshop) Manual. Operator's Instruction Manual. 4450619 L10 LINDE L10 Warehouse L type. Spare Parts Catalog. Service (workshop) Manual. Operator's Instruction Manual. 4450620 L12ZT LINDE L12ZT Warehouse L type. Spare Parts Catalog. Service (workshop) Manual. Operator's Instruction Manual. 4450621 L6 LINDE L6 Warehouse L type. Spare Parts Catalog. Service (workshop) Manual. Operator's Instruction Manual. 4450622 L8 LINDE L8 Warehouse L type. Spare Parts Catalog. Service (workshop) Manual. Operator's Instruction Manual. 4450623 L10 LINDE L10 Warehouse L type. Spare Parts Catalog. Service (workshop) Manual. Operator's Instruction Manual. 4450624 L12 LINDE L12 Warehouse L type. Spare Parts Catalog. Service (workshop) Manual. Operator's Instruction Manual. 4450625 L14 LINDE L14 Warehouse L type. Spare Parts Catalog. Service (workshop) Manual. Operator's Instruction Manual. 4450626 L14AP LINDE L14AP Warehouse L type. Spare Parts Catalog. Service (workshop) Manual. Operator's Instruction Manual. 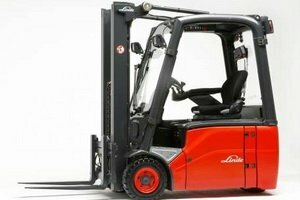 4450627 L16 LINDE L16 Warehouse L type. Spare Parts Catalog. Service (workshop) Manual. Operator's Instruction Manual. 4450628 L16AP LINDE L16AP Warehouse L type. Spare Parts Catalog. Service (workshop) Manual. Operator's Instruction Manual. 4450629 L16AS LINDE L16AS Warehouse L type. Spare Parts Catalog. Service (workshop) Manual. Operator's Instruction Manual. 4450630 L14 LINDE L14 Warehouse L type. Spare Parts Catalog. Service (workshop) Manual. Operator's Instruction Manual. 4450631 L14AP LINDE L14AP Warehouse L type. Spare Parts Catalog. Service (workshop) Manual. Operator's Instruction Manual. 4450632 L16 LINDE L16 Warehouse L type. Spare Parts Catalog. Service (workshop) Manual. Operator's Instruction Manual. 4450633 L16AP LINDE L16AP Warehouse L type. Spare Parts Catalog. Service (workshop) Manual. Operator's Instruction Manual. 4450634 L10 LINDE L10 Warehouse L type. Spare Parts Catalog. Service (workshop) Manual. Operator's Instruction Manual. 4450635 L12 LINDE L12 Warehouse L type. Spare Parts Catalog. Service (workshop) Manual. Operator's Instruction Manual. 4450636 L16AC LINDE L16AC Warehouse L type. Spare Parts Catalog. Service (workshop) Manual. Operator's Instruction Manual. 4450637 L10 LINDE L10 Warehouse L type. Spare Parts Catalog. Service (workshop) Manual. Operator's Instruction Manual. 4450638 L12 LINDE L12 Warehouse L type. Spare Parts Catalog. Service (workshop) Manual. Operator's Instruction Manual.